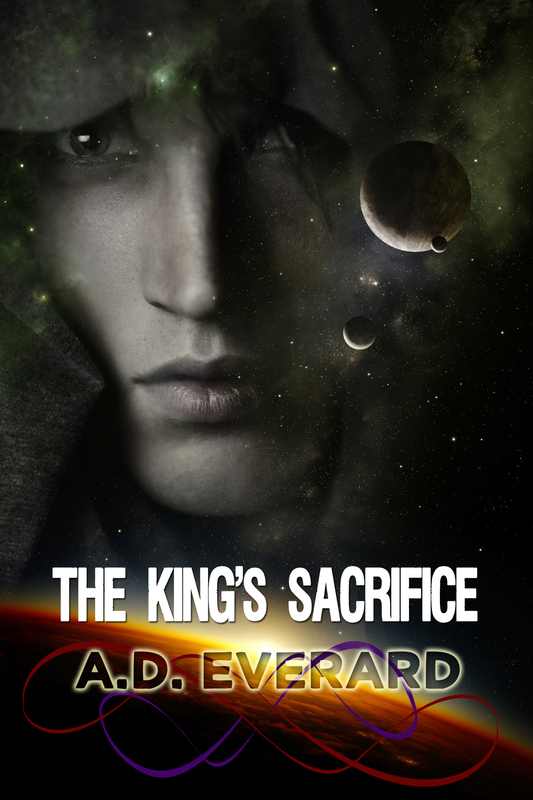 The writing of The King’s Sacrifice, second book in the Khekarian Series, is now completed. All that’s necessary now boils down into three steps. Step one: I read it through as a writer, to check everything is as it should be with regard to spelling, formatting, continuity and flow. This is the first time I will have read the completed work from start to finish, and my mind will be on professionalism. Anything that jars or does not sit right even slightly will be dealt with at this stage. Step two: I hand it over to my tame Test Reader and Sounding Board, my husband Greg. This is his first look at the story and he will view it as a reader does. He has a natural gift for picking up spelling or grammatical errors I have missed, so he will point those out, too, and they will be fixed. Any other issues will also be brought to the fore. That means, if anything jars or does not sit right with him, it will be dealt with at this stage. Step three: I take another full read through with all the corrections in place. This time, I’m looking at the finished article – not as a writer, but as a reader, not looking for errors, just seeing how the whole looks and feels as one unit. If I’m happy with it, I launch, simple as that. This entry was posted in science fiction, writing and tagged books, science fiction, The Khekarian Series, The King's Sacrifice on June 28, 2013 by A.D. Everard. Hubby as a Failsafe, and a Post to say I’m not Posting? Well, you know how it is, I’m into the final swing and have to keep going – I want The King’s Sacrifice, the second in the Khekarian Series, to be out there as quickly as possible. Anyway, I have to. If somebody I know keeps tapping his foot, his ankle may weaken and his foot might fall off. This entry was posted in science fiction, writing and tagged books, science fiction, The Khekarian Series, The King's Sacrifice on June 20, 2013 by A.D. Everard. A Dry Chapatti and the End in Sight. After a panicked couple of weeks and the threat of only a dry chapatti under the locked door of my office for sustenance (“But, darling! A dry chapatti does not a chapter make!”), I’m back in the “Yep, will make the time schedule easily” bracket. Don’t get me wrong, threats don’t work. I got topping on that chapatti. I had to fight for it, but I won. We writers cannot afford to allow working threats to cloud the judgment of those nearest and dearest, right? Of course right! Okay, so this is an update. We’re talking about The King’s Sacrifice, the new title of book two of the Khekarian Series due out next month (July). There were a lot of little gaps needing sewing shut and a fair jumble ahead at that point. A lot of stuff has to meet up and tie up neatly at the end, so working through that – especially when there was so much of it to balance with everything else – well, you get the drift. This entry was posted in writing and tagged books, science fiction, The Khekarian Series, The King's Sacrifice on June 18, 2013 by A.D. Everard. Gosh! Is That the Time? He wants to know what happens next, folks. He says I have to give him time to read The King’s Sacrifice, book two of The Khekarian Series. I also have to give myself time to shelve it (briefly), to read it with fresh eyes, and – of course – I have to have time to change the ending because he’s convinced it’s going to be NOT AT ALL the ending he wants. See? I keep my secrets. Even hubby doesn’t know the plot. This entry was posted in writing and tagged books, science fiction, The Khekarian Series, The King's Sacrifice on June 13, 2013 by A.D. Everard. It was called The Imperial Son, but I think The King’s Sacrifice sounds much more gripping and goes to the heart of the tale. My wonderful artist designer, Laura Gordon of The Book Cover Machine, has done it again with another excellent cover, as you can see. This entry was posted in science fiction and tagged books, science fiction, The Khekarian Series, The King's Sacrifice on June 8, 2013 by A.D. Everard. Well, you learn something every day, I’m told. I’ve learned that some of you dudes out there who are following me only see the post title – and I forgot to actually mention my NEW COVER in the title of my post telling you about my NEW COVER. That meant that quite a few of you missed out seeing my NEW COVER, so let me show it to you, this time in an appropriately named post. This entry was posted in science fiction and tagged books, erotica, science fiction, The Khekarian Threat on June 7, 2013 by A.D. Everard. By Happenstance – the Best Way. 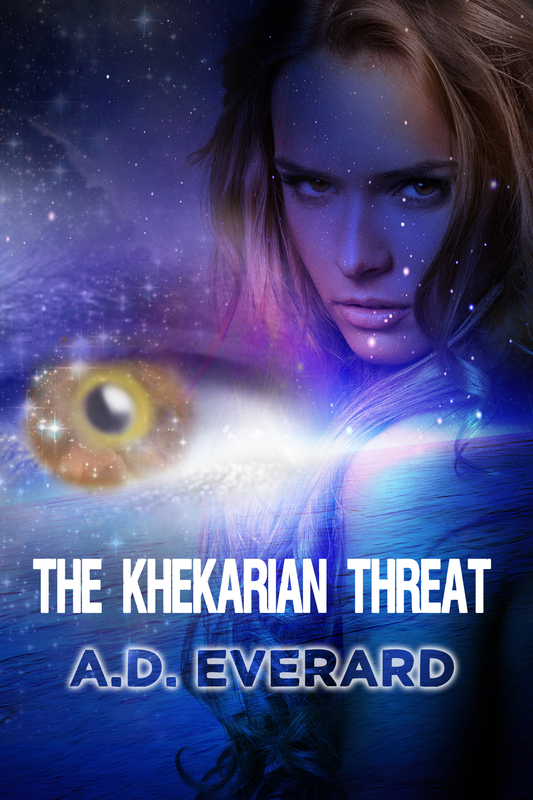 The new cover for The Khekarian Threat is done and – wow – does it look fantastic! I’ve changed the blurb on the back as well – and that’s what caused the delay. When I announced this a week or so ago, I didn’t expect to get in my own way. The designer of this wonderful creation is Laura Gordon of The Book Cover Machine and today I will add a link to her site. This entry was posted in books and tagged books, science fiction, The Khekarian Threat on June 4, 2013 by A.D. Everard.